Formula One’s sole tyre manufacturer Pirelli revealed the tyre compounds for the first races of the 2018 championship. The compound choice for the Monte Carlo round is still yet to be confirmed. For 2018, the Milan-based tyre company extended its tyre range with a new compound, the hypersoft which became the softest one available. This change is a reaction to last year’s too conservative compound range which resulted in a series of strategically dull races in 2017. The new hypersoft should suit circuits better which put less loads to the tyres. 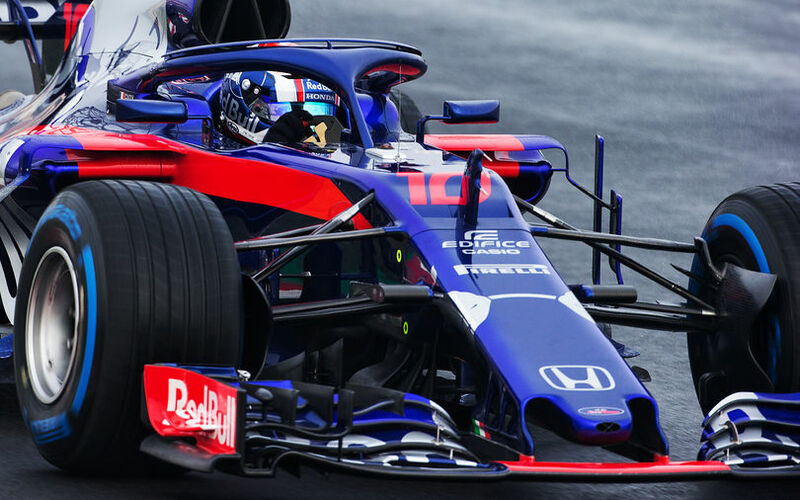 The range consists of seven compounds compared to last year’s six, however the hard compound is only a back-up tyre which will only be used if cars generate unexpectedly high loads into the tyres. The rules regarding the usage of the tyres during a race weekend is unchanged. Each driver must save one set of the softest of the three nominated compounds for Q3. This set will then be returned for those who qualify in the top 10, but the remaining drivers will keep it for the race. Each driver must have both these sets available for the race. Teams are free to choose the remaining 10 sets, making 13 sets in total for the weekend. Pirelli brings the soft-supersoft-ultrasoft tyre for the season-opening Australian Grand Prix. The compound choice is not announced for the Monte Carlo GP yet, but it is likely see the same trio of hypersoft-ultrasoft-supersoft emerge as Canada.